Newly promoted Detective Chief Inspector Kathy Kolla investigates a series of brutal murders on Hampstead Heath. Under intense pressure to find answers, she arrests the unlikely figure of Charles Pettigrew, a failing London publisher who lives alone on the edge of the Heath. 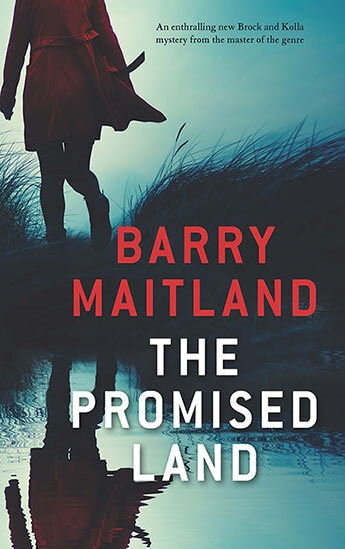 Barry Maitland was born in Scotland and brought up in London. After studying architecture at Cambridge, he practised and taught in the UK before moving to Australia where he was Professor of Architecture at the University of Newcastle. He has since retired to pursue his writing. Maitland's first mystery, The Marx Sisters, was a nominee for the John Creasey award for Best First Novel and The Malcontenta won the Ned Kelly Award for Best Crime Fiction. Bright Air, Maitland's first crime novel set in Australia, was published in 2008.